Quick summary: During this lesson students investigate the role of knowledge of our environment in jobs both now and in the future. Students begin by exploring the need for green jobs (why we need people to have green jobs) and what some current green jobs might be. Students are then asked to imagine some green jobs of the future, what the job descriptions of these jobs would be and how these jobs would help to protect, conserve and care for our environment. Students recognise the role of knowledge of the environment and ecosystems in a number of occupations (green jobs). Students identify ways in which green jobs might change in the future. Relevant parts of Year 8 Science achievement standards: Students examine the different science knowledge used in occupations. Level of teacher scaffolding: Medium – oversee lesson, facilitate discussion. Resources required: Student Worksheet – one copy per student OR computers/tablets to access the online worksheet. Strips of paper and pens. Keywords: Careers, green jobs, environment, protection, conservation, future, outdoor learning. Overarching learning goal: Students recognise the role of knowledge of the environment and ecosystems in a number of occupations, and identify ways in which green jobs might change in the future. Finally, students will begin to recognise the mental, physical and academic benefits of completing classroom activities outside. The lesson is designed to support students and teachers undertaking the Outdoor Learning Unit. Click here to view the Unit Outline. 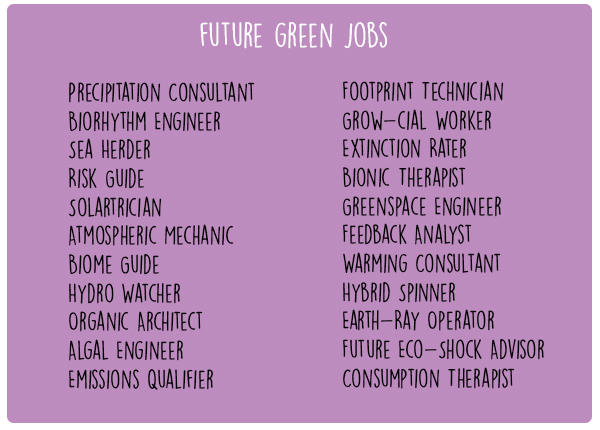 Thought starter: What's your dream green job? Why does the environment need people to protect it? Do agree with the idea that the environment needs people to speak for it? Why or why not? 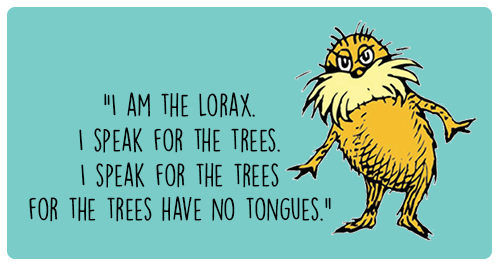 In what ways can people speak for the environment? Why might the environment need people to speak for it? What are some examples of people speaking for the environment? Once you have answered these questions, turn to a classmate and share your answers. How different are your definitions? What roles might people have in protecting the environment in the future? Working in pairs, have a look at these imaginary green jobs of the future.